"Dan is a superb litigator. He can distill the most complicated matters down to a cogent, simple theme...He thinks very strategically and has been our 'go-to' lawyer for large commercial litigation...."
Dan Warren is regularly called upon to take the lead role in "bet the company" lawsuits. Working with his colleagues, Dan approaches large matters with intense preparation, effective examinations of witnesses and exceptionally strong brief writing. These skills have enabled Dan's success in a number of cases on motions for summary judgment, at trial and in arbitration. Dan also maintains an active appellate practice, having argued more than 20 appeals in his career. Clients have praised Dan for his "razor-sharp, strategic mind and effective communication skills" (Chambers USA 2007). Dan is ranked in Chambers USA: America's Leading Lawyers for Business and is listed in The Best Lawyers in America©. He has served on the firm's Policy Committee and is formerly the Litigation Group coordinator for the firm's Cleveland office. Dan chairs the Pro Bono Committee. Dan's client, a national bank, faced a problem when one of the largest reinsurance organizations in the world claimed it had never authorized its agent to agree to cover massive losses relating to the bank's auto leasing business. Years of hard-fought litigation ensued. During more than 100 days of depositions, Dan's team focused on showing that senior officers of the reinsurer had specifically authorized the coverage – and that they acted in bad faith by conducting an inadequate internal investigation of the facts before refusing to pay. After winning a series of key summary judgment rulings, Dan and his team obtained a settlement of $279 million, an outcome that was featured in The American Lawyer's "Big Suits" section. After seeing its market share decline over time, a nonprofit hospital in Northeast Ohio learned that a larger rival – which happened to be the biggest employer in the county – had converted hundreds of local employers to its captive insurance subsidiary by making secret payments to the independent insurance brokers who represented those employers. Dan and his team crafted a claim under Ohio's version of RICO based on a criminal statute outlawing improper payments to service providers of employee benefit plans. After a nine-week trial, Dan's team won an unprecedented jury verdict under this theory. Dan then argued on appeal, which resulted in the judgment being affirmed. Dan recently won a reversal in a major fraudulent transfer action against a Fortune 500 company that lent into a $200+ million Ponzi scheme. Several years ago, the trustee's claims against the lender had been dismissed. Representing the trustee on appeal, Dan persuaded the U.S. Court of Appeals for the Sixth Circuit was persuaded to reinstate the trustee's claims for fraudulent transfer and civil conspiracy. Dan has deep experience in the complex area of securities litigation. He recently led an injunction action challenging a tender offer by a major insurance company on the ground that it was coercive and based on misleading disclosures of fact. After a full evidentiary hearing in federal court, the tender offer was brought to a halt. 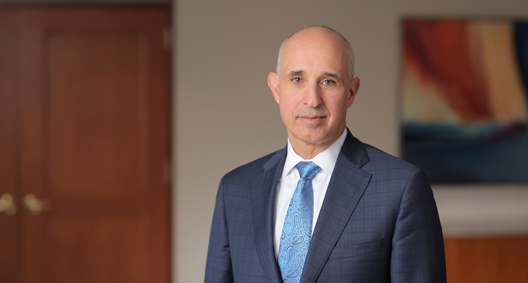 Dan has successfully represented banks and other publicly held companies and their officers in many securities and Employee Retirement Income Security Act (ERISA) class actions and derivative cases. By way of example, Dan was lead counsel in a series of ERISA "stock drop" cases involving a company stock fund that lost considerable value during a two-year period. Dan and his team obtained a dismissal based on standing grounds in the district court, a judgment that was affirmed by the Sixth Circuit Court of Appeals. Subsequently, Dan's team obtained a dismissal of the remaining cases on the merits, a victory that again was affirmed on appeal. Dan is also deeply involved in the fast-emerging area of data breach litigation. He has served as lead counsel defending against a multitude of class actions across the country arising from some of the most significant data breaches uncovered to date. He has successfully defended one major healthcare organization in a data breach involving millions of patients in six different courts throughout the Chicago area, including winning dismissals that were upheld in the Seventh Circuit Court of Appeals and the Illinois Court of Appeals. He won dismissal for another client in the Southern District of Illinois in a purported class action brought by issuing banks asserting RICO and other claims. Dan is actively involved in several other ongoing data breach and privacy-related actions. Dan also has been involved in major trust disputes involving claims of breach of fiduciary duty. In one matter, Dan's client, a leading national business figure, was sued by his brother's adult children, who accompanied their complaint with a highly derogatory press release. Dan obtained a settlement that required the plaintiffs not only to dismiss their claims with prejudice, but also to publicly apologize and pay their uncle's attorneys' fees. Best Lawyers® 2014 "Lawyer of the Year"
In a case that received national media attention, Dan obtained a reversal on appeal of the murder conviction of a 12-year-old boy who had falsely confessed as the result of a coercive interrogation. Subsequently, Dan and his team brought a federal civil rights action on behalf of the same client against a chief county prosecutor and other public officials. After years of litigation, including an appeal to the Sixth Circuit, Dan obtained a multimillion-dollar settlement, a letter of apology signed by three police chiefs, and, ultimately, the chief prosecutor's ouster from office. More recently, Dan obtained the reversal of a murder conviction on behalf of a college student who had been caught up in a fraternity house brawl.